Picture the scene- it's Saturday afternoon and you're at home with your family getting ready to get out of the house when disaster strikes! It's raining, your plans are turned upside-down and an increasingly rowdy brood is beginning to act out, causing the first of what will likely be a number of headaches. What, I hear you cry, can parents do to alleviate such terrible misfortune? The answer is the humble board game; here are some the Smith Family knows your family will adore. If you like your games fun, fast and varied, Cranium is king. In the game players must complete a variety of tasks, formed around four varieties of cards. With Creative Cat cards, players must draw and sculpt for their points; for Data Head, traditional trivia and general knowledge questions are posed; Word Worm cards are focused upon words, spelling and anagrams; and Star Performer cards are concerned with acting, speaking and humming! This game never gets boring. Casino games are a huge hit these days among adults. Gamers everywhere have been clamouring for a little tasteof the action on SpinPalace.com and host of other similar sites, but whilst we're not saying your children should be playing on such websites, there's a somewhat similar board game that takes all the fun aspects of casinos whilst leaving behind the more controversial. In Casinopoly, players move around a casino-themed Monopoly board, but have to play dice-based versions of casino games as they go, winning or losing their cash in the process. It's a hoot that the entire family will enjoy! As any Scrabble-loving parent will know, the immensely popular spelling game isn't always the best game to play with children in infant or junior school, but luckily there's a word game the whole family can enjoy; Bananagrams. Players must arrange letters into a grid of interconnected words faster than their opponent, each player picking from the same pool of tiles. While this game is sometimes attributed to groups of basement-bound geeks, Settlers of Catan is a great strategy game that's perfectly suited for children thanks to it's lack of Risk-like warfare game mechanics. 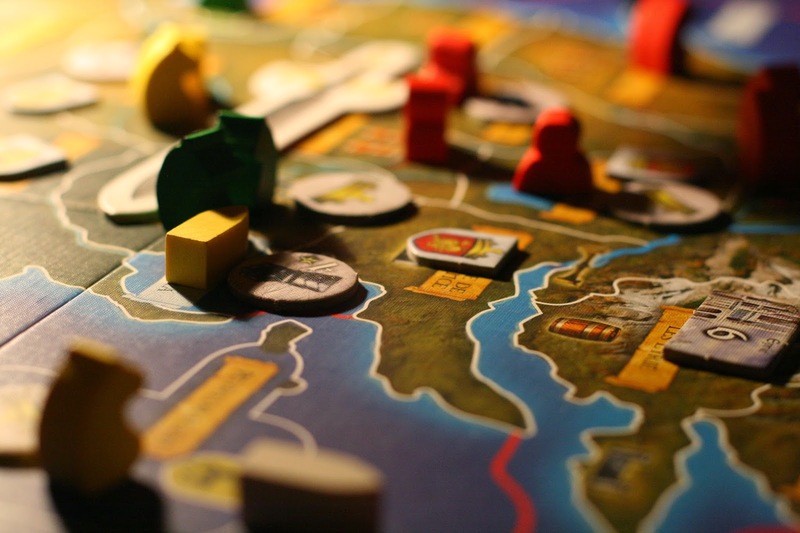 In Catan players must build roads, settlements and cities across the game landscape, trading resources with other players in order to expand. Easy to learn but hard to master, everyone should try Catan at some point in their lives. What are some of the games that your family likes to play on game night or to beat the rainy blues? We just finished playing Racko! We also love Scrabble, any version of Trivial Pursuit, Boggle, Sorry, Life, Dominoes, Canasta, Bones, Phase 10, Chess, Checkers, and Apples to Apples. I really want to get cranium and bananagrams!